Cleaning and disinfection in food industry: manufacture of cleaning and disinfection chemical products, and trade of dosing and application equipment for sanitisation. Food, water, surfaces and air microbiological analysis. Training of food handlers and food industry staff. The company has a team of professionals with experience in the different areas of the industrial hygiene sector, such as: solutions that help food industries to reach high levels of hygiene and to guarantee food safety; audits on food industries’ hygiene (cleaning and disinfection procedures, sanitation equipment and cleanliness and sanitation levels); and a variety of analyses (microbiological and physical-chemical of waters and foods, and microbiological of surfaces and atmosphere in industries’ premises) (Food and Environmental Analysis Lab., certified with ISO 9001:2000 for the analysis of foods, waters and surfaces). ATP facilitates information exchange between enterprises and the public sector with the target to make the best use of national and EU subsidy programmes and to implement them in an efficient manner. In the ATP R&D priorities are defined by the Austrian agriculture and food processors. Interests and needs of Austrian operators are incorporated in national an EU financed support programmes. 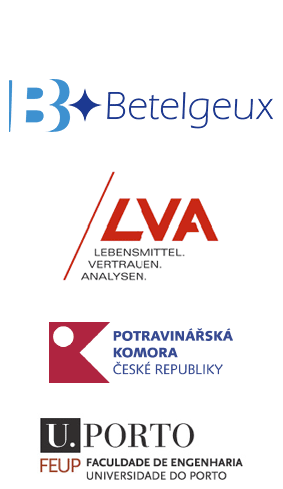 LVA- Lebensmittel versuchsabstalt is the private competence centre for the Austrian food industry. 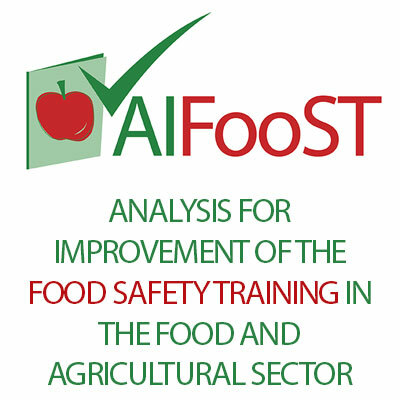 It acts as expert evaluator and consultant in food analysis, technology and in food law. It provides practical assistance in matters of law as well as in the interpretation and execution of food industry regulations. Special dedicated services for European food companies are offered. Due to the quality of service and strong confidence in the substantial knowhow the LVA is also well-known on international level. The LVA guided national Food TechNet is the contact point for research and industry for applied research projects and process an product development. Frequent Seminars and in House trainings for the industry complete LVA´s offers. Contribution to European Research Projects in FP7 complete the broad range of tasks for the food industry as well as the active participation as facilitator of the pillar “Communication, Training and Technology Transfer” in the ETP “Food for Life”. FFDI (Federation of the Food and Drink Industries of the Czech Republic) is a special interest association of legal entities of the food and drink industries, active in the whole territory of the Czech Republic. FFDI was established in 2000 and currently is formed by 160 members – companies, branch associations, observers. Main activity of the association is to represent interests of the food and drink industry, provide specialized food and technology counseling, education and training. FFDI is member of many international projects. FFDI works as a coordinator and administrator of the Czech Technology Platform for Foodstuffs active in the field of research, innovation and technology transfer. Education and research institution in Portugal. Close to 31,000 students, 2,300 lecturers and researchers along with 1,700 administrative staff attend its 15 schools and 69 scientific research units. With 14 faculties and a business school, UP provides an exceptional variety of courses, covering the whole range of study areas and all levels of higher education. This project involves the School of Engineering (FEUP, www.fe.up.pt), with statutory, scientific and financial autonomy, with the mission to educate world-class engineers involving research, development and innovation. FEUP is the largest School of UP, with 9 integrated Master Degrees (5 year), 8 Master Degrees (2 years) and 21 Doctoral Programs. FEUP has about 7,000 students and 450 lecturers and researchers covering most areas of engineering. FEUP is a member of CESAER - the Conference of European Schools for Advanced Engineering Education and Research, and of ERCIM, ERCIM - The European Research Consortium for Informatics and Mathematics. 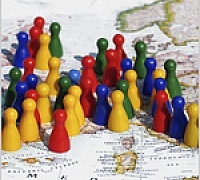 FEUP is located in an disadvantaged region of Europe, the Northern Region of Portugal. Within FEUP, the research unit LEPABE (Laboratory for Process Engineering, Environment, Biotechnology and Energy) belongs to the Chemical Engineering Department, it was created a decade ago and is evaluated as Excellent by the national science agency. With 32 permanent PhD members, 18 posdoctoral researcher and more than 30 PhD students, it has defined its goals to seek for solutions to common problems they wish to tackle together (energy production and efficiency, reduced environmental impacts and human health issues, with an engineering approach).